Game Composites was co-founded in 2013 by Philipp Steinbach, an engineer, designer and an accomplished aerobatic pilot, along with Steuart Walton, a young lawyer, businessman and pilot.Game Composites set out with the desire to design, certify and produce "the world's best aerobatic and touring aircraft". The initial production of the GB1 GameBird prototype and testing progressed through 2014. In July of 2015 the first flight of prototype aircraft G-IGBI took place. In July 2016 the EASA Validation Flight Test was conducted and the first public display at Airventure in Oshkosh, WI took place. Southeast Aero, in St Augustine Florida, opened its doors in 1992 as an aircraft sales and services business with an experienced team of professional and technicians and craftsmen. They are factory-authorized service center for Sirrus Design, Cessna Singe Engine, Extra Aircraft and Diamond Aircraft, although they frequently take care of other models. They offer a Avionics Repair Station, specializing in Garmin, Avidyne,STEC and Aspen products. And serve as a dealer for most major avionics manufacturors. They have extensive experience in composite repairs and painting as well. Foster Bachschmidt has been the captain fo the U.S. Advanced Aerobatic Team in 2016 and competed at the 12th FAI World Advanced Aerobatic Championships in Radom-Sadkow, Poland. He was the U.S. National Aerobatic Avanced Champion in 2014 and 2016. He currently competes in the Unlimited category. MT-Propeller Entwicklung GmbH was founded in 1981 by Gerd Muehlbauer and is well known in the world of general aviation as the leading manufacturer of natural composite propellers for single and twin engine aircraft, airships, wind tunnels and other special applications. Since 1968 Gerd Muehlbauer has been working intensively as chief engineer in composite propeller design and development. MT-Propeller operates out of its main office at the Airport Straubing-Wallmuehle (EDMS) in Germany, where highly skilled people are producing the highest quality of natural composite propellers. For U.S. and Canadian customers there is an MT-Propeller Service Center in DeLand, Florida and several authorized service stations throughout the whole world. Jim Bourke and Acro FS. Jim has been a member of the IAC since 2008. He currently is active in the IAC as an aerobatic coach, a mentor, a frequent Contest Director, is a National Judge, and presently is a US Unlimited Aerobatic Team member. He also is a presenter for AirVenture forums and offers online webinars on behalf of the IAC. John Willkomm. In 2013 John attended the Oshkosh Air Maneuvers Challenge in the Sportsman category. This year he returns to Oshkosh as a volunteer to support his fellow aviators. He lives right down the road in Kenosha, WI. John has been an IAC member since 1980, IAC member #7388. Goody Thomas his first contest in 1998 in Keystone Florida. In 1999 he went to the U.S. Nationals and was third to qualify for the US Advanced Aerobatic team which flew in Germany the following year. He was on the 2000 AWAC team and finished 7th in the World. In 2001 he moved into the SU-31 and began flying in the Unlimited category. Over the years Goody has won multiple gold medals in Unlimited. He has been on 5 US National Teams Teams placed in the top ten multiple times on individual flights at World Championships. Goody was the recipient of Charlie Hillard Award in 2011 for the highest scoring us pilot at the WAC. Goody is currently flying an Extra 330 SC. Charles Atterbury began competition aerobatics in 2013 in the primary category in Delano, CA. He moved up to the Sportsman category and in 2015 was the recipient of the Charles "Chuck" Alley Lifetime Old Buzzard Award, which is given to the top scoring competitor who is 65 years or older. Charlie has encouraged and mentored many collegiate competitors. "Believe in yourself as you follow your dreams and you will be amazed at what you can achieve." Tom Rhodes is an active member, pilot and contest judge of the International Aerobatic Club. Tom has numerous IAC awards including second place trophies at the U.S. National Aerobatic Championshps in Intermediate and Sportsman categories. Jerry and Peggy Riedinger. Jerry and Peggy are IAC members from the state of Washington, IAC67. Jerry flies as a competition pilot in the Advanced category and Peggy is a Natinal and international Judge. Peggy is currently the IAC Northwest Regional Director. 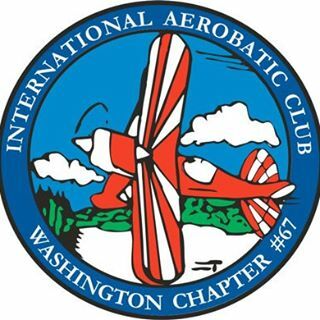 International Aerobatic Club Chapter 67 was round in 1985 and has been behind many fun-filled and memorable aerobatic contests in the NW for many years - membership open to all aerobatics enthusiasts. Visit their Facebook page. Bill Denton. Bill Denton has been actively involved in the sport of competitive aerobatics for over 30 years. He has been a top judge for several years at the US National Aerobatic Championships and is the 2014 Robert L. Heuer Judges Award winner. Norm DeWitt. Was the president of Unlimited Aerobatics USA, Inc. for over ten years, which supported the USA Unlimited team for world competition. He has served as a Director for the IAC for many years and is currently serves the IAC as an EAA Representative. Gordon and Lorrie Penner. Gordon and Lorrie are IAC members from the state of Ohio, IAC34. Gordon is a Captain in the Boeing 767 flying for a cargo carrier, is a Master CFI-A and a FAA Gold Seal instructor. Lorrie is licensed as a private pilot and is the current IAC Executive Director. Dagmar Kress gives ground and flight instruction at the Metropolitan State University Denver (MSU). She lead the MSU aerobatic team in 2017 to a First Place win in the Collegiate National Program Award. In addtion to National and Regional competitions Dagmar has participated in the World Aerobatic Championships as part of the German National Team in 1994, 1996 and 2013. A.J. 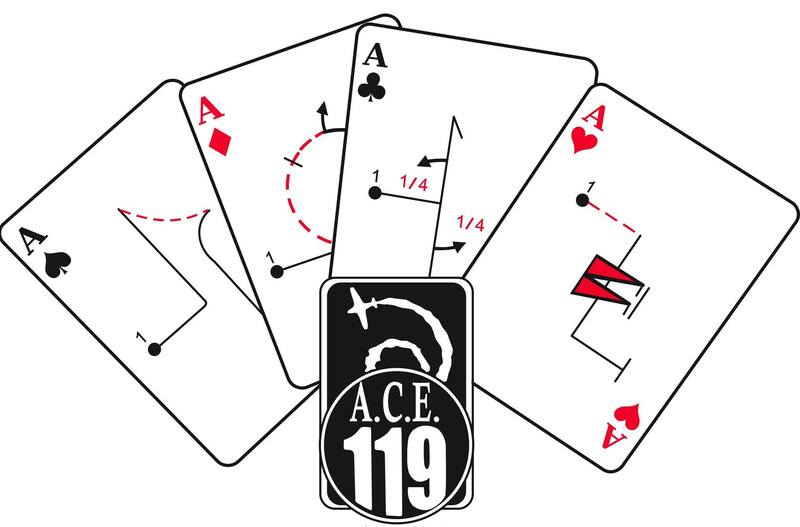 Hefel is a charter member of IAC chapter 119, Air Capital Eagles, in Wichita, Kansas. A.J. is a past member of the IAC Board of Directors. He flies his Laser at IAC competitions in the Advanced category and has been an aerobatic judge.